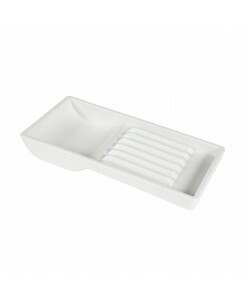 CC Brow Brush&Tool disinfector is used to disinfect brushes and tools, and can also be used to disinfect surfaces. 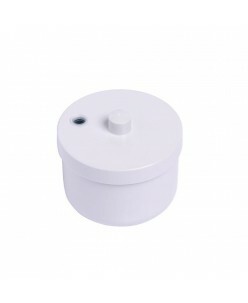 The advantages are that the solution is ready for use in a convenient bottle with a spray and dries quickly. 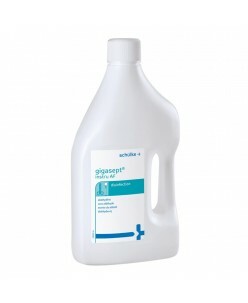 Disinfecting solution is applied by spraying at a distance of 20-30 cm. Not intended for disinfe..
Clean brushes are one of the most important factors in the work of a brow or makeup artist.Frequent washing of makeup brushes with water destroys their structure. In addition, a large flow of customers often leaves no time for cleaning. The tool CC Brow Professional BRUSH CLEANER solves these problems in 30 seconds without harm ..
Aldehyde-free disinfection and cleaning Gigasept Instru AFSuitable for manual disinfecting pre-cleaning and manual disinfection of thermostable and thermolabile instruments of all types (excluding flexible endoscopes). Thanks to its excellent cleaning performance – especially in an ultrasonic bath – andits comprehensive microbio..
Kodan Wipes 15x22cm 90 pcs. 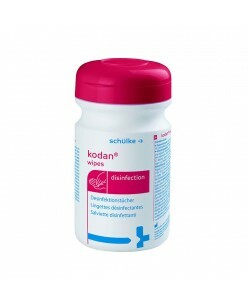 in a boxKodan wipes are ready to use disinfectant wipes for antimicrobial treatment of limited areas of the skin.Disinfection of non-medical areas. 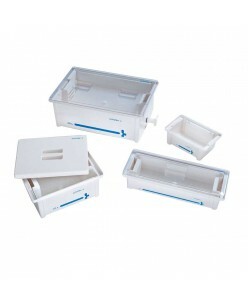 Fields of application: Disinfection of skin. Application: Skin / hands / feet thoroughly wipe. Spectrum of activity: Bactericidal i..
Lucas` Cosmetics Brush Shampoo 50 ml. 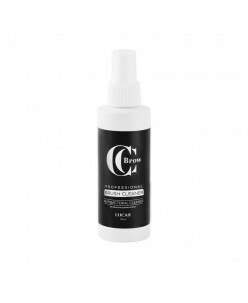 Concentrated shampoo for washing brushes.Application: add 4-5 drops of concentrate to 100 ml of water and mix. Rinse the brush in the resulting solution, and then under running water.Avoid eye contact. 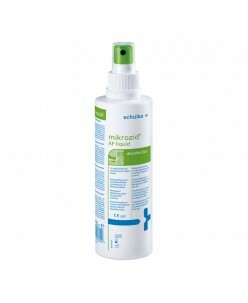 Store away from direct sunlight at room temperature.Ingredients: sodium laureth sulfate, cocamidopropyl betaine, cocamide dea, s..
Mikrozid AF Disinfecting WipesMikrozid AF disinfecting wipes are soaked with an alcoholic lotion and are particularly convenient for quickly disinfecting medical tools. 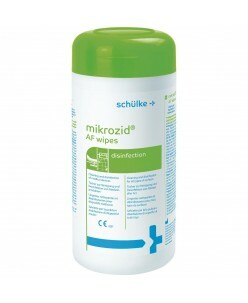 These wipes come in an hygienic dispenser with 200 wipes.Product DetailsMikrozid AF disinfecting wipes in 200 wipe dispenserAldedhyde-freeWidely effective within..
Mikrozid AF Jumbo wipes (refill 200 sheet/box)The disinfectant wipes Mikrozid AF wipes by Schülke are aldehyde-free, impregnated ready to use and have a broad and rapid effect on.Properties of disinfectant wipesready for usesoaked - alcoholic solutionaldehyde-freefast drying upvery broad effect within a short timeeffective again.. 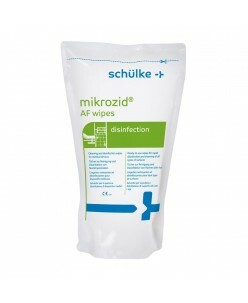 PRODUCT DETAILS The Surface Disinfectant Schülke mikrozid® AF liquid is used for rapid disinfection of medical devices and surfaces with increased risk of infection.Properties of surface disinfectant:Rapid disinfection;At increased risk of infection;With the requirement short exposure times;Ready-made solution;Alcohol-based..
Autoclavable up to 136°C/275°FContains Antimicrobial ProtectionSurface DisinfectWasher-disinfectResistance to fracture, breakage and chemical attack..
Tattoo Goo PRO Series Solidify clean up gel (5ml.) Introducing Pro Series part of the Tattoo Goo Aftercare range. 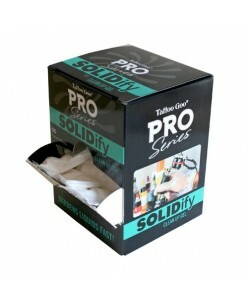 Solidify is one of the latest products in this range and is a clean up gel for tattooing Quantity: 5ml. ..